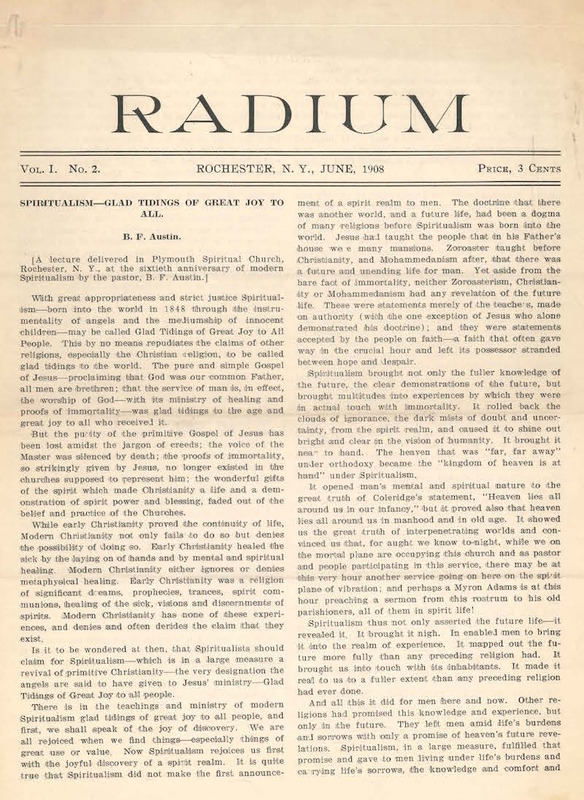 A Magazine of Human Progress through Social Reform, Psychic Research and Character Building. Rochester, NY. Publisher: Austin Publishing Company. Editor: B.F. Austin. 1/1, May 1908. 8 pp., 3 cents/copy 25 cents/year. This was apparently a short-lived effort by Austin to promote his work in Rochester. It was published at the same time as his much larger and more influential Reason, which also was published there. University of Rochester, Rush Rhees Library, has 1/2, June 1908.